A swing is something that is closely associated with our childhood. There was a time when the biggest achievement or happiness in life was to go to some play area with the parents. But swings are not necessarily loved by the kids, this swinging thing is really a strange phenomenon. This is something close to having wings and flying. 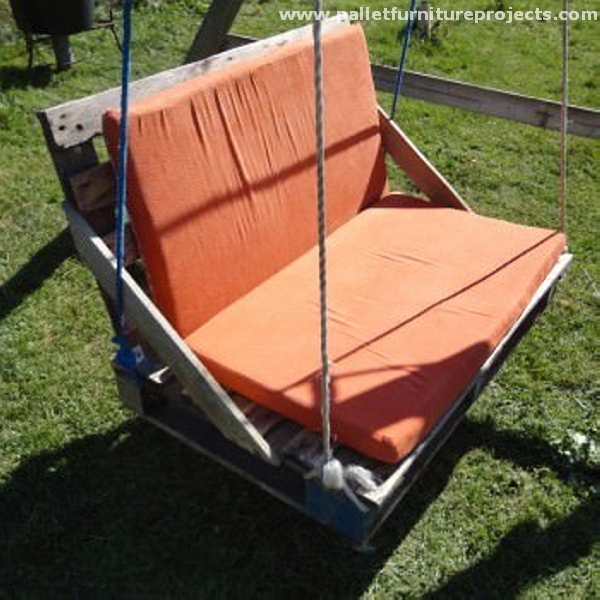 So if you have a swing inside your house, this could be probably the best place to spend some quality moments there. 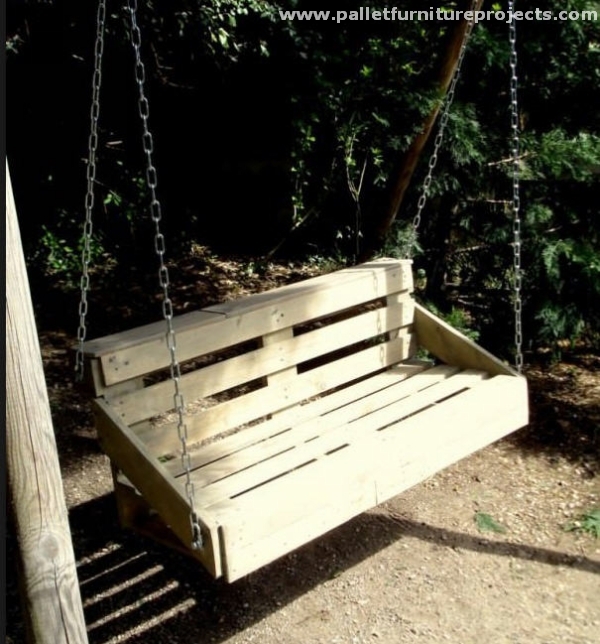 Just think about having a wooden pallet swing that would entirely be designed according to your choice and priorities. 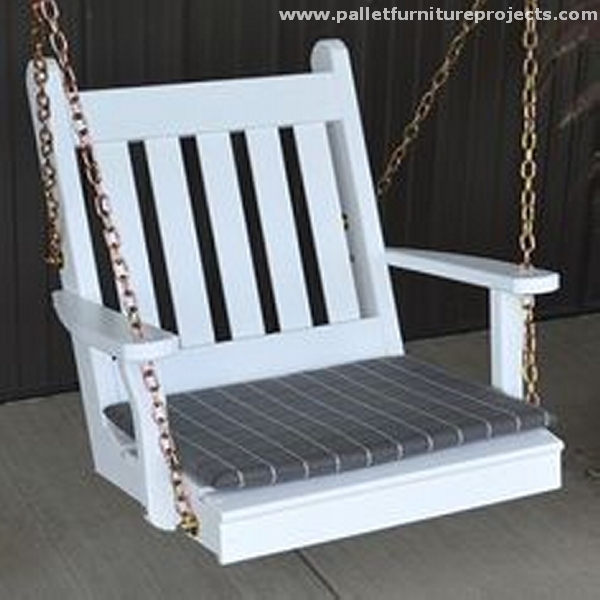 No matter how many family members do you have, if you want to be a bit selfish with this amazing wood pallet creation, you can make this wood pallet swing chair for your patio. Spend some free time here while reading your favorite book or newspaper. If you want to bring this blissful wooden item to your wide green landscape, it would be better to make it pretty spacious for a couple of persons. 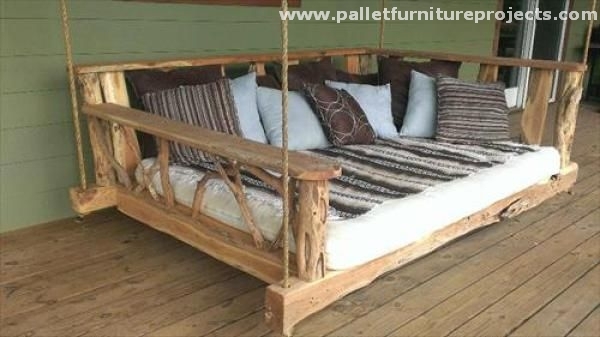 Like here is a huge wood pallet swing couch connected with some heavy duty chains. Have a seat on it along with your friends or some other family members. Well, having a look on this one give you a bit relief from the fatigue and pressure of arranging some fresh wood pallets. 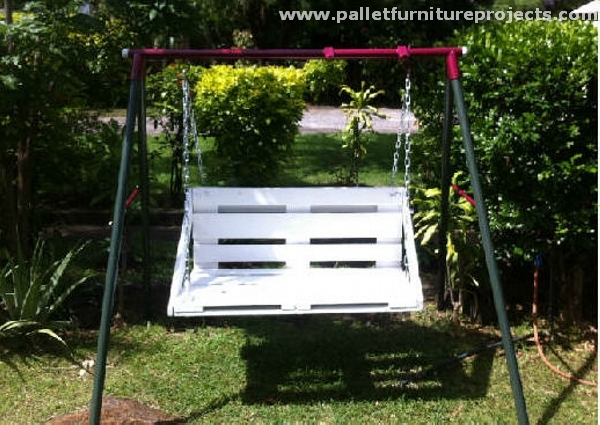 As we made this pallet swing with quite rustic and deteriorated shipping pallet. We can clearly see the nail scars on this rustic pallet, yet the final outcome is quite encouraging one. 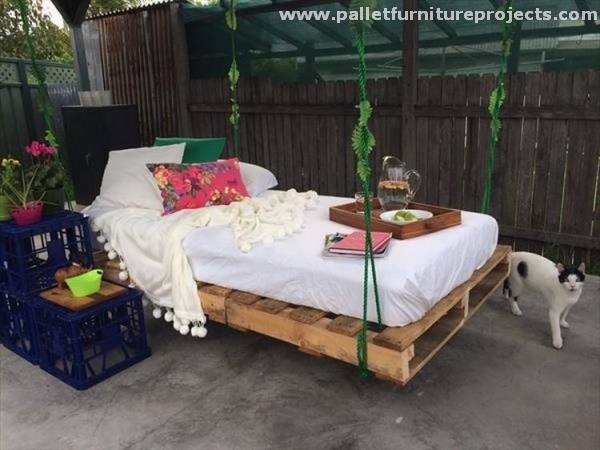 And this one is a perfect wood pallet installation or swing that is made with pallet wood and ofcourse some properly assembled iron pipes. This would be one of the best features of your garden, kids would especially love to spend their time here.